SEEKONK, Mass. — The Northeast Race Cars Tri-Track Open Modified Series (TTOMS) formally announced this week the appointment of several key members to the Series’ officiating staff for the 2017 season including Frank Sgambato and Jeff Zuidema. Sgambato will serve as the Series’ race director while Zuidema will be the head of tech. With a career in motorsports that spans nearly 40- years, Sgambato has earned the respect of drivers spanning the generations. During his 32-year tenure with Stafford Motor Speedway, he served as chief starter for much of the 80s and 90s. He held the position of vice president of competition until his retirement following the 2012 season. Coming out of retirement “to help for a few shows”, he ultimate served as the race director at Seekonk Speedway until 2015. 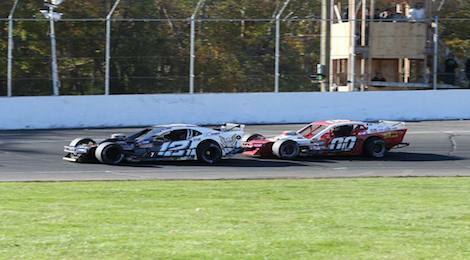 Sgambato was once again enjoying a hiatus from racing when he was tabbed by the Tri-Track Open Modified Series. “The Northeast Race Cars Tri-Track Open Modified Series’ schedule is a great way for me to stay involved with the sport,” said Sgambato. Sgambato will be joined by Jeff Zuidema as the head of tech. While widely known as a championship driver at various racetracks in New England including Thompson Speedway Motorsports Park, Zuidema has relished his positions on the operational side of racing in the last several years. He has served as the Race Director for the Pro Four Modifieds and most recently as the head of tech for the Granite State Pro Stocks. While assisting TOMMS on occasion, he is looking forward to his full-time role. “It is our intention to deliver a professionally run series, to put on the best four races we possible can with the goal of sending the competitors home satisfied after a night of racing,” added Zuidema. Sgambato and Zuidema will be joined by a veteran core of officials that will also include Dennis Gagliardi, Mike Green (pit steward), Josh Manfredo (starter), Bobby McIlveen (tech), Pete Needham (spotter), Chip Pettengail (pit steward), Johnny Pettengail (asst. pit steward), Jenn Ready (Chief scorer), Chris Sgambato, and Randy Stefanik (scales). Additional positions may be added in the coming weeks.